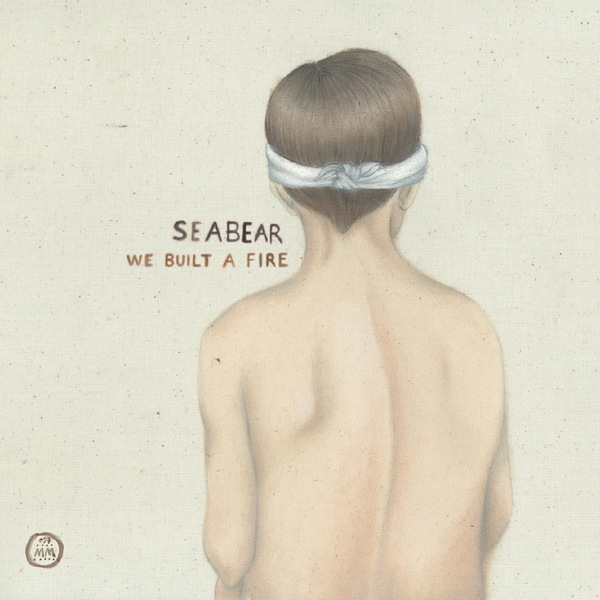 Seabear have improved on all fronts since their 2007 debut, The Ghost That Carried Us Away. That album was by no means shabby itself, and but on We built A Fire the Icelandic group have blossomed into a more sonically sturdy entity, boasting better songs and yet more winningly embellished arrangements. Shades of Win Butler and Regine Chassagne are apparent at various points over the course of the album, with great tracks like 'I'll Build You A Fire' and 'Fire Dies Down' inviting strategic insertion of the word "Arcade" in their titles, although the similarities between Seabear and the influential Canadians shouldn't be overstated - you can still imagine these guys stripping back to basics and having a sing-song in someone's living room. At the heart of the band's afore-referenced expansive string and brass laden folk-pop arrangements is the songwriting of Sin Fang Bous fellow Sindri Mar Sigfusson (recently billed as an "Icelandic Beck" by Rolling Stone magazine), whose acoustic tunesmithery continues to impress on country-ish jaunts like 'Wooden Teeth' and 'In Winter's Eyes'. In many ways comparable to the new Tunng album, this sophomore Seabear outing offers a fine example of ensemble folk-pop grown up, lending an energetic, communal feel to the music that transmits warmth to the listener.